Why is Bali a Top Destination for Yoga Retreats? That, or maybe because its breathtaking scenery, with magnificent mountains, sandy beaches, and lush vegetation could have only been created by divine intervention. The gods themselves created this paradise for us mortals and we’ve reciprocated making it the best yoga destinations in the world. OK, Rishikesh may have something to say, but with around 600 yoga retreats in Bali to choose from on our website, it’s safe to say that both can share the title of the world’s most popular yoga destination. What makes a yoga retreat in Bali so special? Bali is a health and wellness hotspot that attracts travelers from all over the world; yogis and non-yogis alike. However, it is indeed extra special for us yogis. Want a yoga session from a renowned guru? 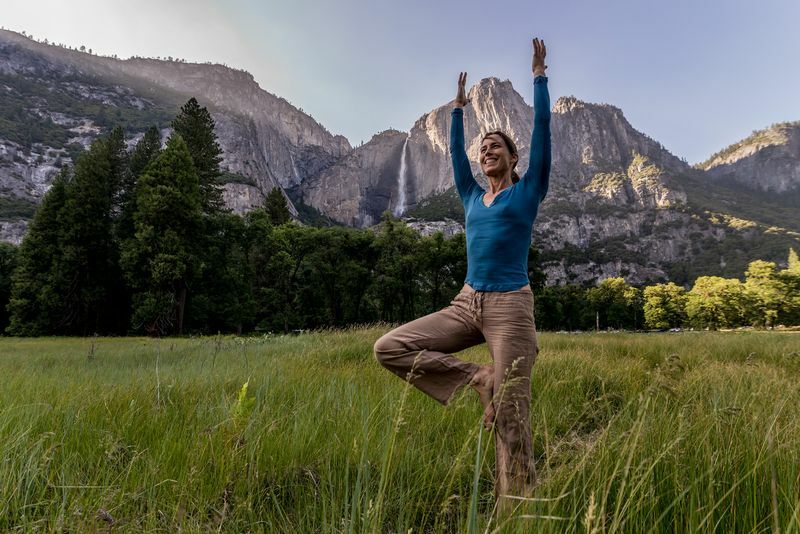 Some of the most qualified instructors hold retreats or teach classes here. Fancy a full-body treatment? There’s an abundance of holistic spas for you. Looking for a delicious yet healthy meal? Good news! There’s a vegan restaurant in practically every corner of the island. There’s an inherent spiritual culture on the island. Bali is predominantly Hindu, while the rest of the country is mostly Muslim. This creates a unique vibe a bit different than the rest of Indonesia. Not that one religion is better than the other, but yoga does have some ties with Hinduism, which helped to create the characteristic yoga culture of Bali and allowed yoga retreats and teacher training courses to flourish here. Balinese Hinduism is also a distinct blend of Shivaism and Buddhism with their own unique gods. Many of them are associated with the mountains and lakes of the island, which makes the religious festivals utterly unique and its temples marvelous. It is said that there are over 10,000 temples, shrines and pilgrimage sites in all regions throughout the island. They’re not only stunning on the outside, but peaceful and still on the inside. Unless there’s a festival, then it transforms into a stage for traditional dance performances and other events to celebrate. Which are the best regions within Bali for yoga? Bali is one of the 34 provinces of Indonesia and, within Bali, there are several regions. The most popular area for travelers is Southern Bali, where Kuta, Seminyak, Jimbaran and other regions welcome thousands of visitors every day. They’re home to plenty of beach resorts and there are lots of options to experience the Balinese nightlife or go shopping. But Bali’s charm doesn’t stop there. Gunung Agung, Indonesia’s holiest mountain, rises in the heart of East Bali; West Bali National Park has over 190,000 acres of jungle; North Bali is a great alternative for those who want to escape the busy southern beaches (especially for surfers); and Ubud, in Central Bali, is the cultural capital of the island, as well as, in our opinion, the ideal location for yoga retreats. 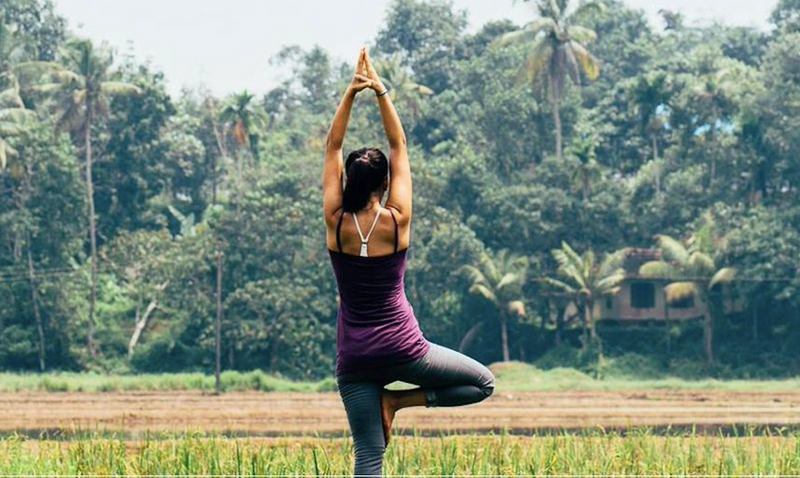 The soul of spiritual Bali, Ubud’s abundant vegetation, ancient temples, paddy fields, rainforest and its Zen-like atmosphere, make a perfect setting for yoga. 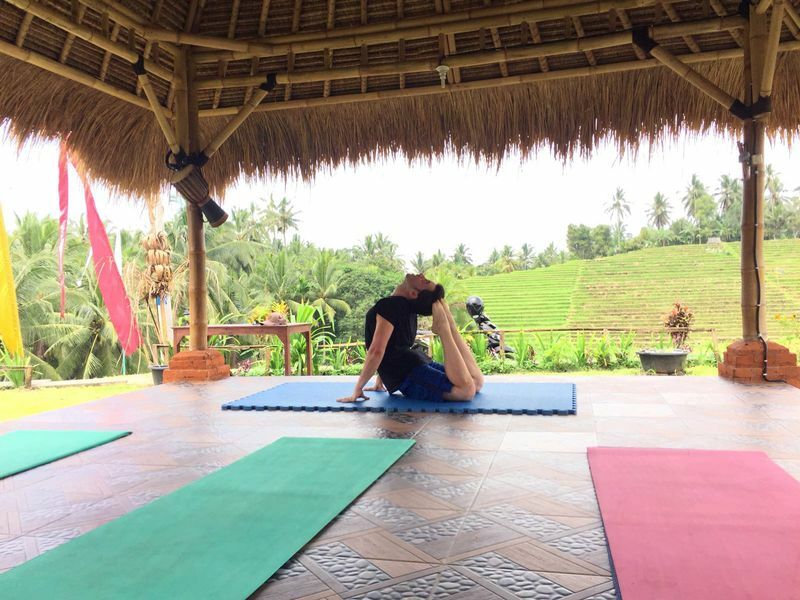 No wonder there are over 200 yoga retreats in Ubud available on our site, as well as dozens of great options you can opt for if you’re interested in becoming a yoga teacher. It’s the ultimate hub for health and wellness. From Ayurvedic centers to vegan restaurants to spas and saunas, you’ll find something to pamper your inner yogi in every corner of Ubud. 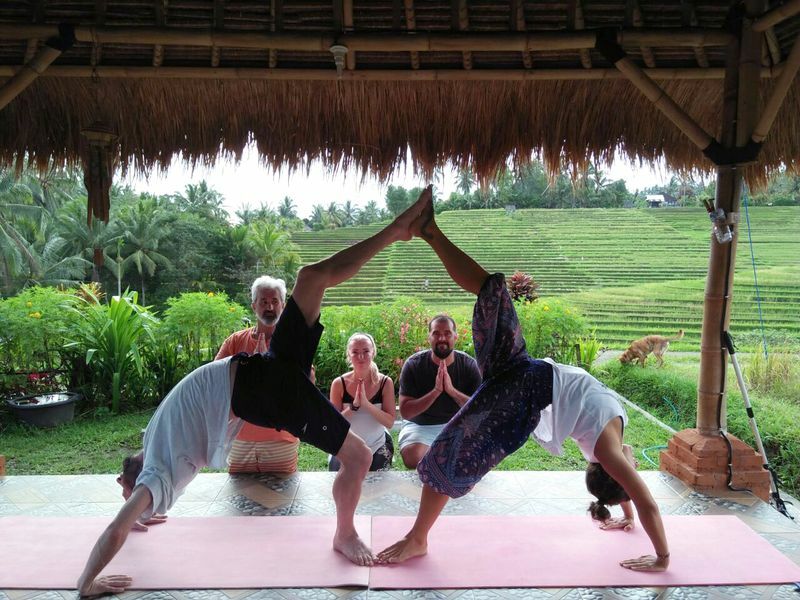 So, Ubud is your best bet if you want a more authentic and relaxing yoga retreat. The only downside may be that it has no shore, but there’s an ‘easy solution’ if you want to get a taste of the world-famous Balinese beaches. Just rent a scooter or hire a driver for a day trip and head to Sanur or Padang Bai – both are less than one hour away. This way you can come back at night to peaceful Ubud after having fun at the more crowded southern beaches. Once a hidden coastal little town, Canggu is now the ultimate hip destination in Bali. With a laidback atmosphere, slick restaurants, street art, hippy vibes and Instagram-friendly cafes, “The Gu” offers a more relaxed alternative to the beach resorts in other southern towns – and a hipster paradise. All of this makes room for the more affordable yoga retreats in Bali, with vegetarian options, surfing and detox programs to help you forget about the daily-life noise. In a few words, Canggu is the best choice if you prefer the beach over Ubud’s jungle. The chic, high-end area of Bali, Seminyak is like the more sophisticated version of Canggu. With lots of fancy restaurants, sleek bars, spas to get a traditional Balinese massage and deluxe boutiques, this upscale resort village in Southern Bali is perfect to treat yourself to a luxurious yoga holiday by the beach. At “The Yak” you just worry about resting, eating and doing yoga. The surfing conditions here are good, too. So, if you want to spice up your vacation, find a board and catch a few waves at sunset. And if you’ve never surfed before, there are retreats where you can learn the basics and complement your yoga practice with this exciting sport. Not the most secluded option in Bali by any means, but being so close to the city center, it’s the most convenient place to visit. With a bustling beach, lots of cafes, shops, and bars, Kuta could be your option if you just want to have a fun time with a few yoga sessions sprinkled throughout your time in Bali. Not too far south of Kuta, Jimbaran is a middle-ground option with nice calm beaches, not as fancy restaurants, but as beautiful as any other place in Bali. Indeed, this region is home to the Uluwatu Temple, one of the island’s six key temples believed to be Bali’s spiritual pillars. So, there’s enough mysticism for a yoga retreat or at least worth it for a day trip from Kuta. If you want to explore Indonesia beyond Bali, Lombok and the Gili Islands are completely worth it and they’re just a couple of hours away. 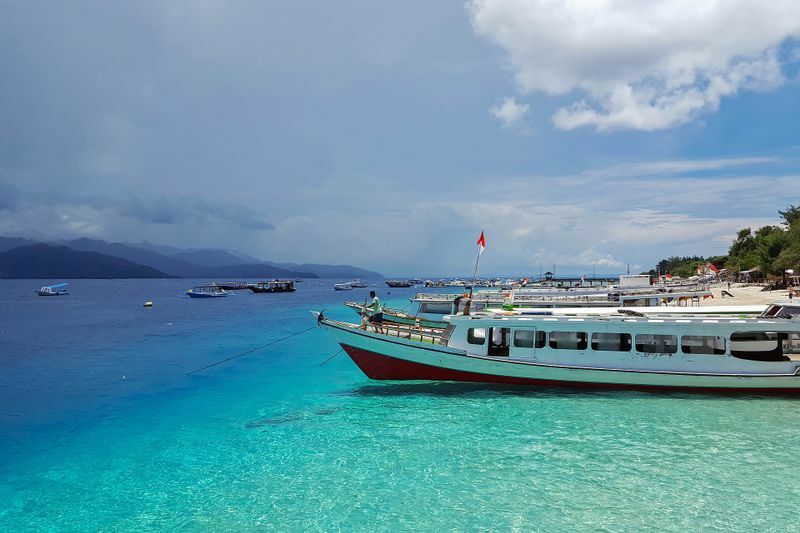 You’d have to take the ferry from Padang Bai to Lombok or get on a fast boat to the colorful coral reefs of Gili Trawangan, Gili Air, and Gili Meno. When is the best time to go on a yoga vacation in Bali? Surrounded by warm ocean currents and situated right on the equator, Bali has nice weather all year long with an average temperature of 28°C (82°F). You should just take into consideration its monsoon climate with two tropical seasons: wet and dry. The best time to visit will depend on the purpose of your trip. 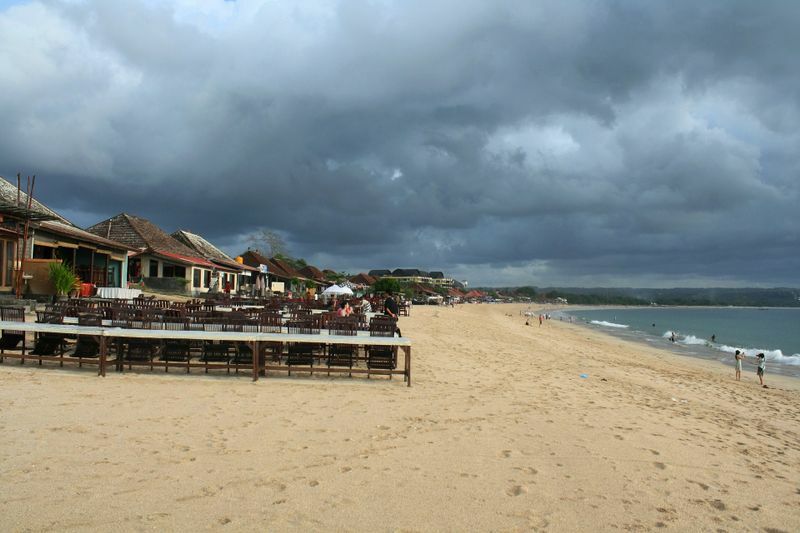 The dry season occurs between May and September and it’s the busiest time of the year in Bali. It’ll be sunny all day, you’ll meet many new people and there’ll be a more joyful mood in the air. If you’re going to Kuta, Seminyak or Canggu, this would be the right season to go. The wet season lasts from October until April. 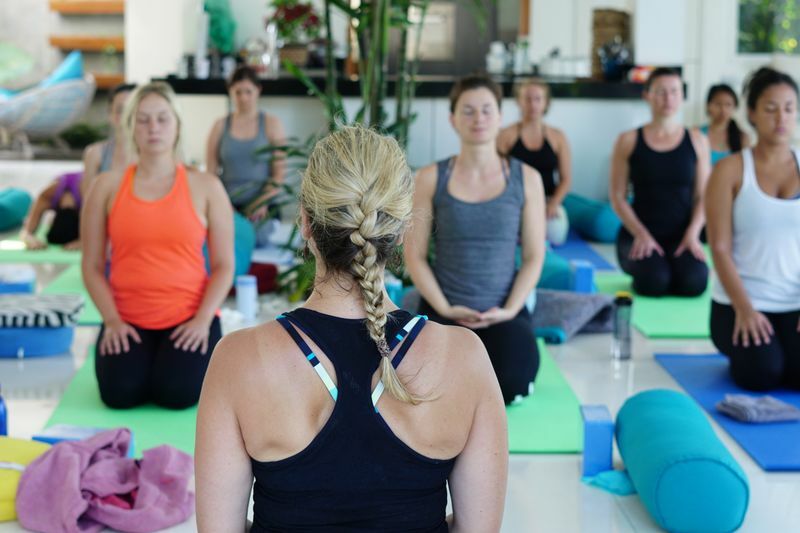 This could be a perfect time for a yoga teacher training in Bali; the island will be quieter, the humidity will ease you into your pranayama exercises and you’ll be able to truly focus on your practice. Yes, it will be rainy most days, but who doesn’t love a good meditation session with the background noise of the soothing raindrops falling on the green paddy fields of Ubud? Want to make your trip even more fun? The BaliSpirit Festival takes place at the end of March in Ubud. A unique celebration of yoga, dance and music like no other in the world. Tanah Lot. One of the most important landmarks in Bali. This sea temple is ideal to go see the sunset. Uluwatu. Built on top of a steep cliff, the views from here are jaw-dropping. As Tanah Lot, an excellent place for a sunset photo. Besakih. Amazing complex with over 80 temples. You’ll need more than one trip to truly appreciate all the majestic architecture. Ulun Danu Beratan. Could be the most iconic sanctuary of the island. A must for all visitors. Tirta Empul. A national cultural heritage site. Ideal to learn about Balinese history. If your retreat is being held in Ubud, make sure to spare some free time at the Monkey Rainforest. One of Bali’s most popular attractions, this sanctuary is home to hundreds of long-tailed macaques. You’ll have fun seeing the monkeys in their natural habitat while you immerse in the soothing Balinese nature. For those looking for outdoor activities, there are lots of hiking options in Bali. Mount Batur and Mount Agung have several trails you don’t want to miss. And if you go during the rainy season, rafting is another more adventurous option. And if you really want to see the most scenic rice terraces in Bali, Tegallalang and Jatiluwih are two of the most beautiful ones and, of course, they’re both perfect for an iconic photo of Bali. How to get into & around Bali? 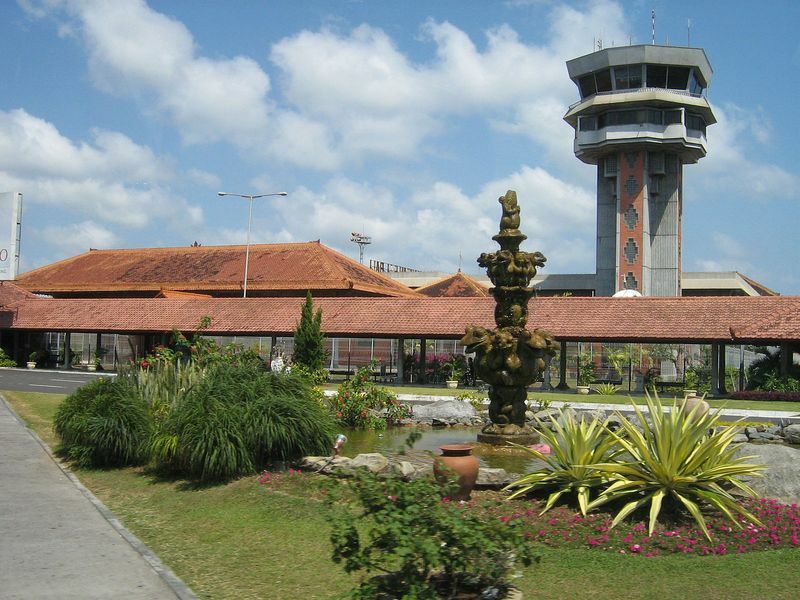 Denpasar Airport or Ngurah Rai International is where all air travelers have to land in Bali. It serves nearly 24 million passengers every year and it’s the second busiest airport in Indonesia after Jakarta. If you’re flying from Europe or The Americas, chances are the cost will be a bit high. 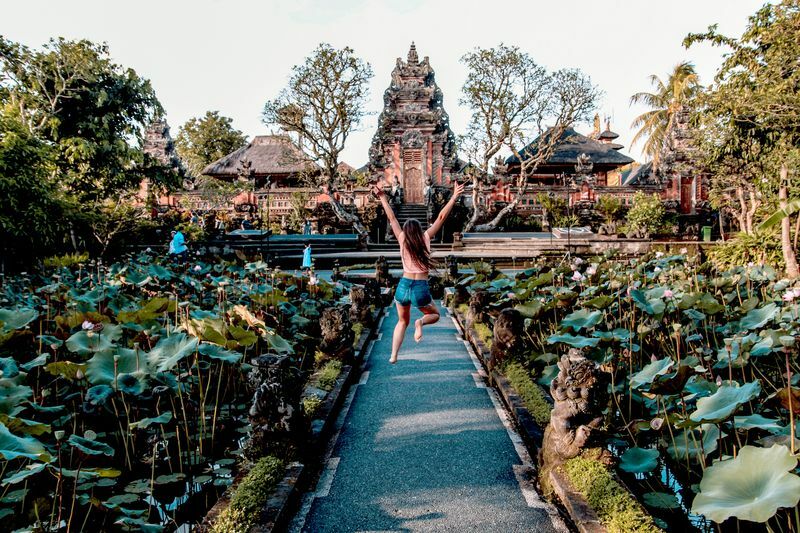 If you want to save some money on your plane ticket, try searching for flights to Bangkok, Kuala Lumpur or Ho Chi Minh and then book a connection to Bali. These cities tend to have cheaper fares and flying within Southeast Asia is much more affordable. It’s going to take you longer, but you may even have the time to explore these other countries. Once in Denpasar, you should know that it isn’t a touristic city and your final stop will normally be one of the regions mentioned above. This means that you’ll need to find a way transfer from the airport. Kuta is very close and shouldn’t be much of a hassle, but if you’re going to Ubud, it will take you about 1.5 hours to get to the retreat venue. If you can find a yoga retreat with transfers included, it’ll be more convenient especially if it’s your first time traveling to Asia and/or if you are traveling alone. This way, you won’t have to worry about figuring out how to best get to your retreat at the airport. However, if transfers are not included, you can opt to use ride-sharing app (Go-jek or Grab are commonly used) as well as several other options like taxis, car rental or, if you don’t have much luggage, you could even rent a motorcycle. In Bali, locals speak both Balinese and Bahasa Indonesia (Indonesian). The good news is that Bali is arguably where English is best-spoken in all of Southeast Asia. Therefore, you shouldn’t worry too much about it, but if you want to be nice, try saying “om suastiastu” to greet locals. You’re bound to get some friendly smiles in return. The Indonesian Rupiah (IDR) is the official currency in Bali and all Indonesia. As of February 2019, one dollar is worth roughly 14,000 rupiahs; and one euro is around 16,000 rupiahs. Though Bali is one of the most expensive places in Southeast Asia, it’s still quite affordable compared to the big touristic cities in Europe or the USA. Indonesia uses the European-style two-pin round plug. So, if you’re visiting from the US, you’ll need an adapter. Bali has a pretty good internet connection, especially in South Bali and Ubud. There’s fiber optic and reliable 4G network. The speed isn’t the fastest in the world, but it’s good enough to have a stable video call. Free WiFi is common in most restaurants, bars, and cafes. This is one of the reasons why Bali attracts many digital nomads from all across the globe. Now you’re ready for a yoga retreat of a lifetime. 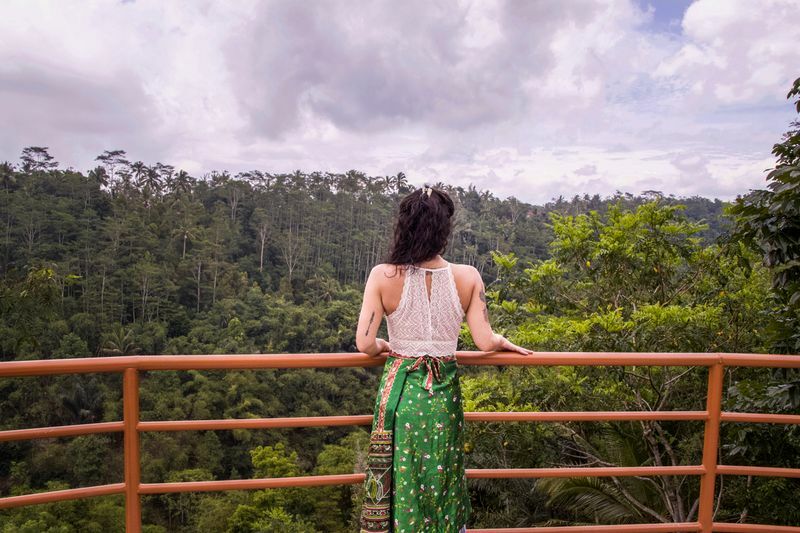 I can tell you thousands of more great things about Bali and it won’t be enough to describe how much you’ll enjoy your yoga retreat on The Island of the Gods. Don’t have much yoga experience? 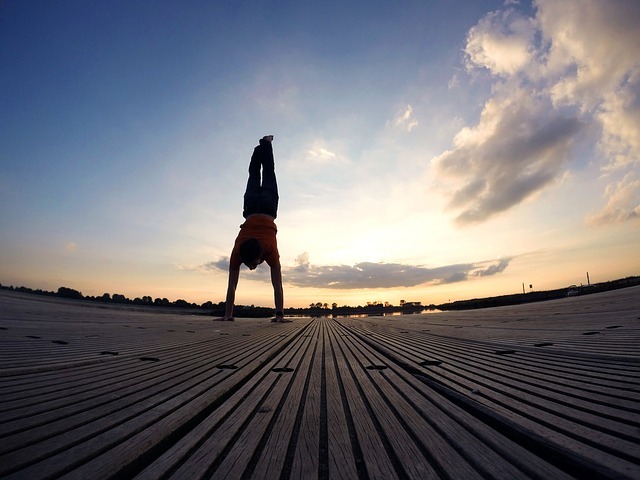 Don’t worry, there are lots of great yoga retreats in Bali for beginners!